Get your mind out of the gutter. It's not what you think. I watched "60 Minutes" on Sunday and one of the segments dealt with famine in Africa. Little did I know, the lowly peanut (thank you, George Washington Carver) may just be able to save thousands (if not millions) of lives. 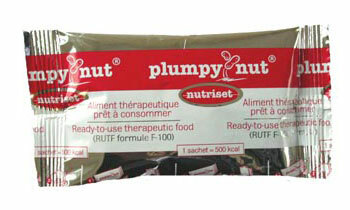 Behold Plumpynut!